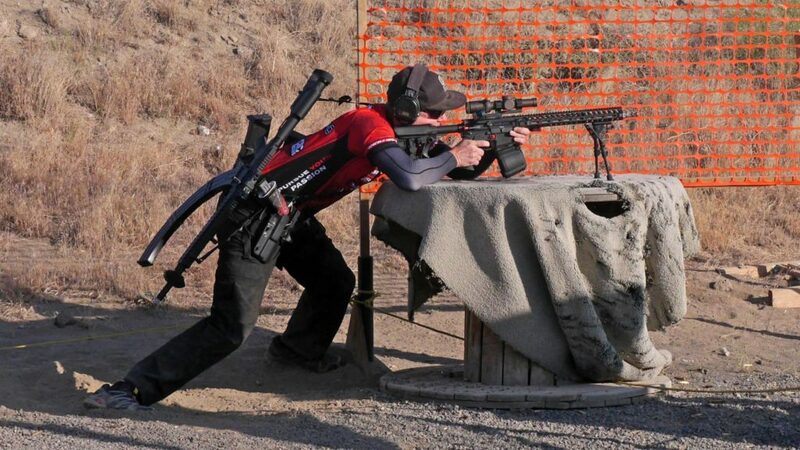 Recently we had the chance to speak with Tim Ramberg, team captain for Rainier Arms’ Shooting Team. 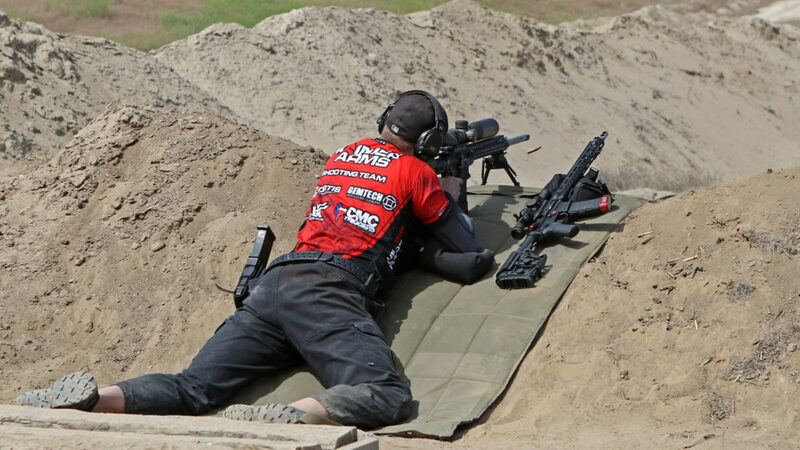 Tim had some great advice for new shooters and shooters new to multi-gun competition! Can you brag about your background and shooting accomplishments so far? 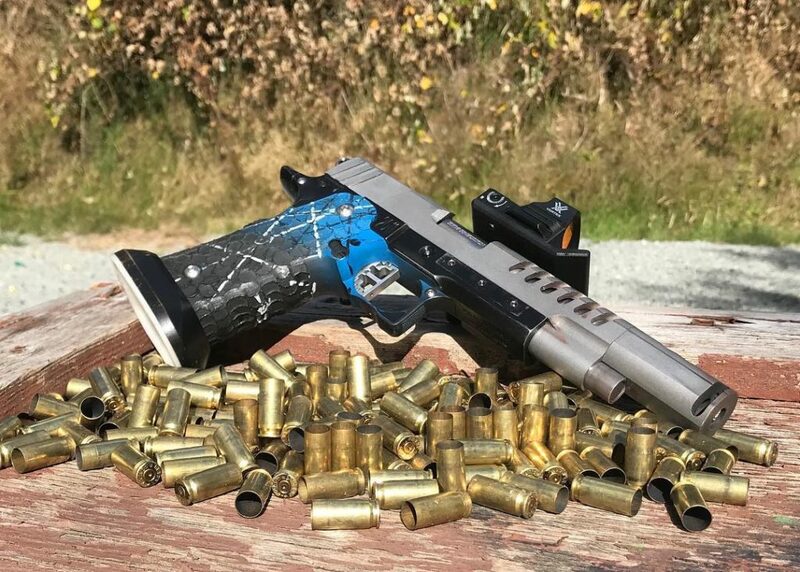 How did you first get into competitive shooting? I was first introduced to it while visiting some out of town relatives. After a little more research I went and watched a local ‘Friday Night’ match. 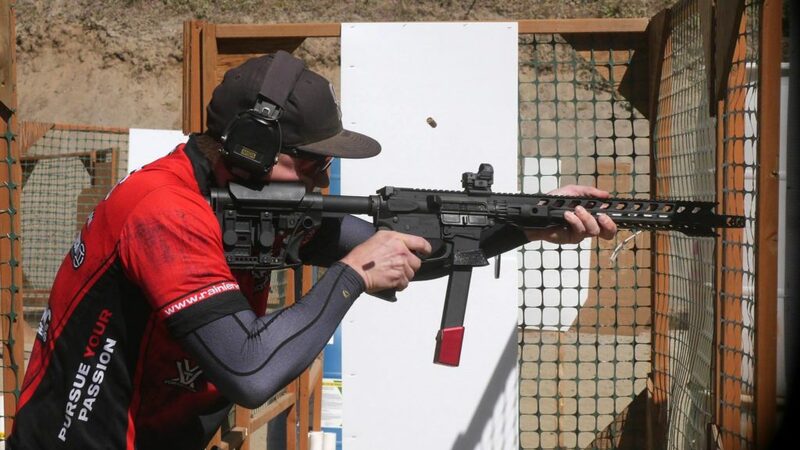 Nick, one of the best USPSA ‘Open Division’ shooters in the country, was there and it blew my mind. I was like: “I want to do that!” After several years of just shooting USPSA pistol matches, a good friend convinced me to try multi-gun. In 2014, I shot my first multi-gun match…three guns were three times the fun! What % is the gear…and what % is the shooter? This is an interesting question. In general, I would say it’s 75% the shooter but with one major caveat: the gear MUST be reliable. I don’t care how good of a shooter you are…if your gear isn’t reliable you won’t be successful. Once you have the right, reliable gear you can master it and use it to your advantage. This is more apparent in multi-gun than pistol only competitions. Example: a rifle target at 350 yards in the middle of a field course -> if you have the right length mag to monopod off in tac or for open the right combination of bags/bipod you can quickly build a quality position and neutralize the target on your first shot! What’re some of your go-to guns & gear? My Rainier Arms rifles and my JPL Precision custom 2011 race guns! I bought my first rifle from Rainier Arms (prior to having any sponsorship relationship) during one of the ‘panics.’ They didn’t inflate their prices and they were very knowledgeable, friendly, and helpful to someone that, at the time, literally knew nothing about AR-15s! Reliable and accurate…couldn’t ask for more! John at JPL Precision is a great local gunsmith! He is my go-to for anything 2011 race gun related. He’s always happy to answer any questions and I’ve learned a ton from him. 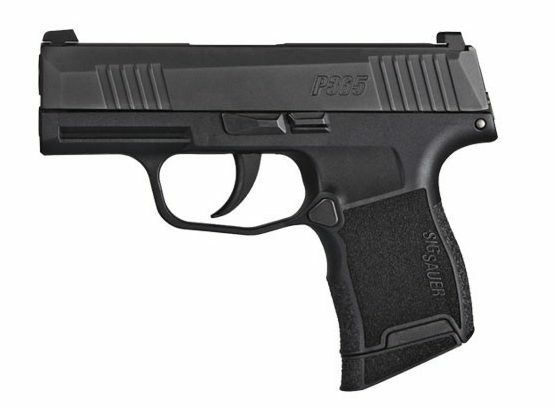 I highly value the great pistols he has built for me and really appreciate his support. How much do you practice at home and on the range? It’s probably about 80% home, 20% range for me. I try to get at least 30 minutes of dry fire in every day. There is so much time to be saved chasing perfection of movement and manipulation in dry fire. Any specific drills to help our readers? Start standing in any box. Move toward another box. Fire one shot upon entry. Move toward next box. Fire one shot upon entry. Move toward the original box. Fire one shot upon entry. Only one shot per box. Stop. Advance to next box. Restart. Timed. Any competition match day tips? Relax, have fun, and shoot your game! Don’t think “I’m gonna go fast” or “I’m gonna be slow”. Keep it simple. See the required sight picture for every shot and execute it. What advice would you give yourself when you first started competing? Don’t wait so long to try your first multi-gun match! If you EDC, what do you carry? Springfield XDS .45 though I won a Sig P365 earlier this year and can’t wait to try it! What’s the most unique stage you’ve ever shot? 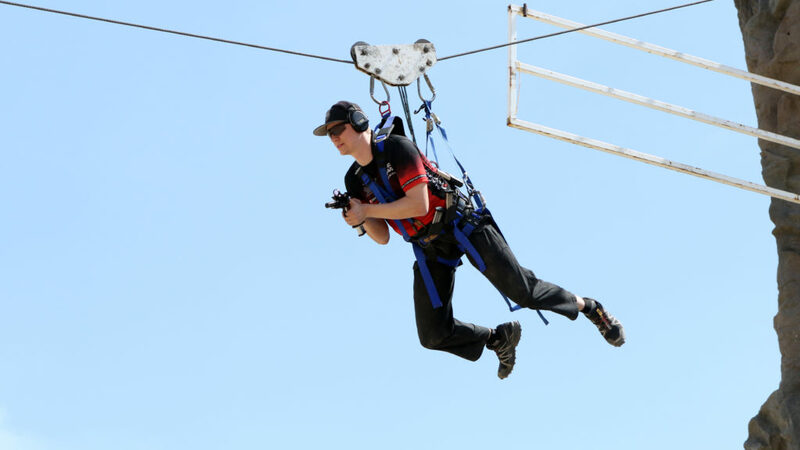 MGM Ironman Zip Line! One of a kind! A big thank you to Tim Ramberg and to Rainier Arms for making this interview happen! If you’re interested in learning more or seeing more of Tim’s shooting, check out his YouTube Channel and his Instagram! More interviews with more professional shooters are coming soon! Got anything you’d like to ask them? Let us know in the comments! 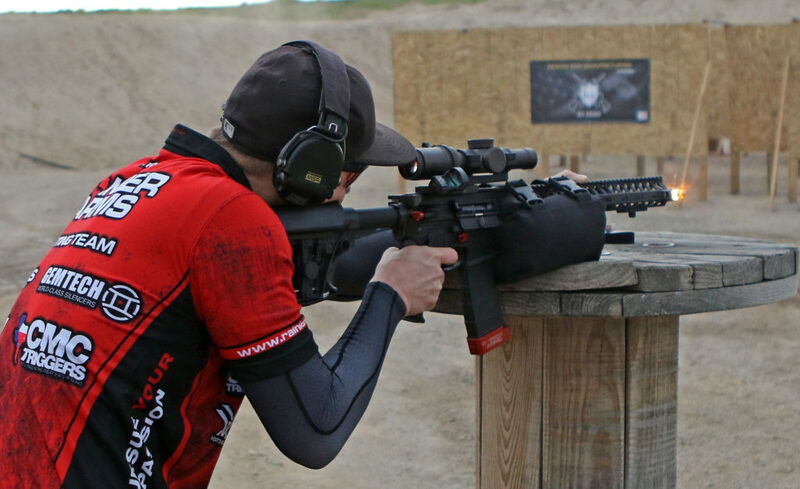 The post Rainier Arms Pro Shooter: Tim Ramberg [Interview] appeared first on Pew Pew Tactical.